Beautiful new docks are now available in Picton on the Bay of Quinte. The new docks are available to our guests or the boating public and are located directly at the Picton Harbour Inn shoreline. Please be sure to check in at our front desk which is located inside the restaurant. The cost of a boat slip for a guest in a room will vary depending on the size of the slip as noted below. Not a guest with us? Our docks are also available to the boating public. 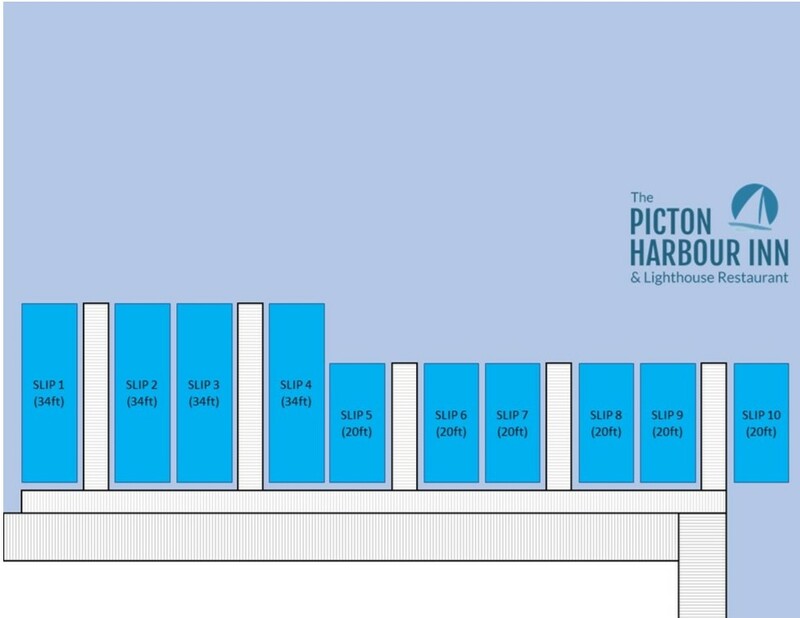 For those not staying overnight at the Picton Harbour Inn, the cost per foot for boat docking nightly is $1.60/foot/day. CALL TODAY to book your spot!